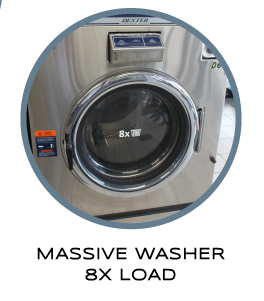 We hope that you enjoy our newly remodeled store with its 42 brand new stainless steel dryers and 8 GIANT LOAD WASHERS perfect for blankets and comforters! 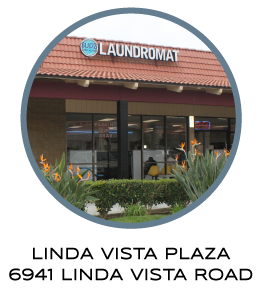 Conveniently located just 1.5 miles north of USD (University of San Diego) at 6941 Linda Vista Road, adjacent to Rite Aid, Mc Donald’s and a host of other fabulous eating establishments, SUDZ is the ideal coin operated laundromat to get all of your laundry done fast! 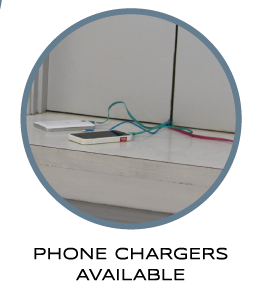 · Free Phone Charging Stations. 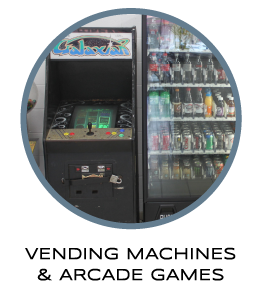 · 2 Video Arcade games with all the classics! · Ample seating both inside and out! · And lastly we have plenty of outlets for those wishing to charge their laptops while they wait. So whether you need to study for you next exam at the University of San Diego, or you just want to watch Netflix, either way we’ve got what you need here at the newly remodeled SUDZ of Linda Vista. With over 50 washing machines and 42 brand new dryers, saving time and money has never been easier here at SUDZ Coin Wash.
· 7 Massive, 6 load washers. · 1 Mega Washer capable of doing 8 loads of laundry at a time. · 20 Triple load machines. · 22 Double load machines. · 8 traditional top loading machines (for those who love the classics). 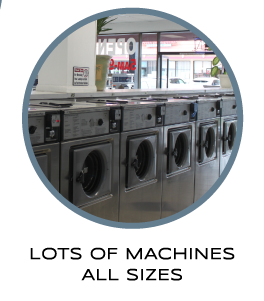 · And 16 brand new “Jumbo” dryers and 26 “traditional” sized dryers. Pretreat stains for best results. The hotter the water temperature, the cleaner the clothing will be. Use hot water to remove dust mites, germs and heavy soil. However, hot water tends to make some of the clothes shrink, wrinkle and fade. Warm water is usually the best choice for permanent press and jeans. It allows good cleaning action without as much fading, wrinkling, and shrinking. Cold water is usually used for delicate items. It’s also has the best options for clothing that have bright colors that may run or fade in higher temperatures. 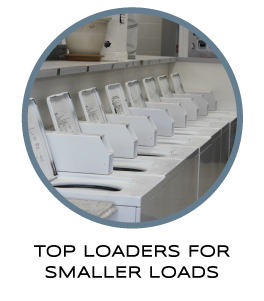 Whether it’s a small or large load, we have you covered here at SUDZ laundry due to our large variety of new washing machines and dryers. We have the big machines to get your large loads done quickly. Save time and frustration with our large selection of machines. Our industrial strength machines are perfect for your commercial laundry needs. Please come in today to learn how we can help. As someone new to the area, you’ll find that SUDZ is not only easy to find and easy to use, and a great convenient location.